The Zika mosquito virus is spreading and you may be at risk. Here are the simple solutions to protect you and your family this year. Currently, active Zika virus transmission has been reported throughout Central America, much of South America, as well as several Caribbean nations. As you may already have heard, Zika, the latest insect-borne disease of concern, is upon us. Now, with warmer weather breaking out across the country, that means the mosquitoes that can transmit the Zika virus are also coming out, threatening you and your family with an infectious disease for which there is no vaccination or even medical treatment. The Zika virus is transmitted primarily by the Aedes species mosquito (A. aegypti and A. albopictus), which enjoys global distribution and is the carrier of several infectious diseases in addition to Zika, such as West Nile, yellow, and Dengue fevers, Chikungunya, and Eastern Equine Encephalitis. As a result, all of us who work and play in the outdoors either at home or when travelling abroad are at an elevated risk of infection this year. Now for some good news: protecting yourself from becoming infected with the Zika virus, or any of the other diseases transmitted by the Aedes mosquito, can be easily achieved by using proven insect repellents and practice common preventative measures when in mosquito country. 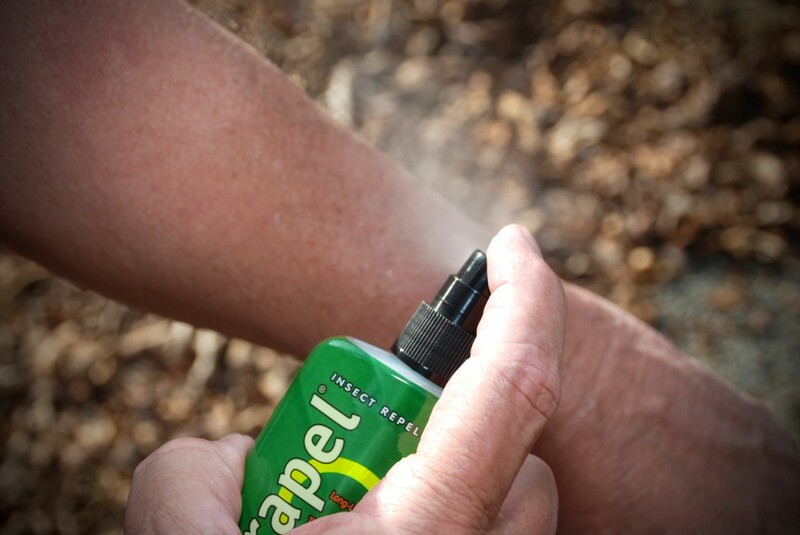 Two of the most effective insect repellent formulas are the long-established DEET and Picaridin, which has been used successfully for decades in Europe and other countries as an ingredient in insect repellents, and in the U.S. since 2005. 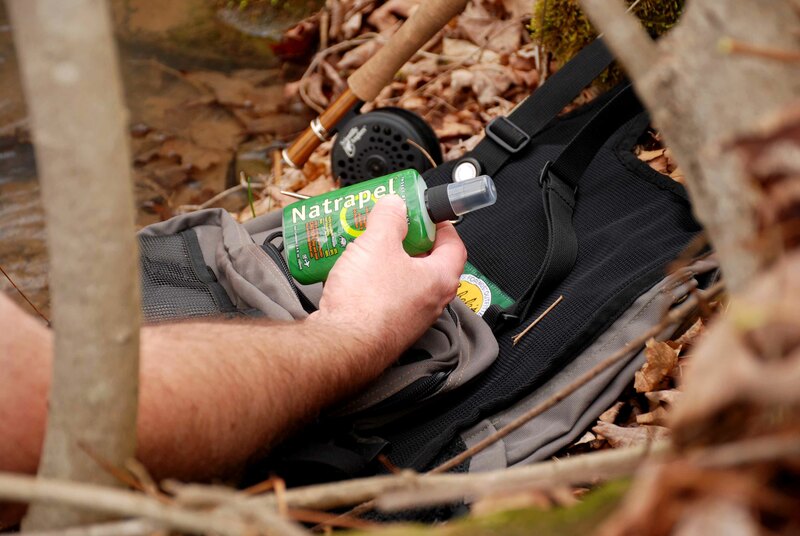 Last year we used two types of DEET- and Picaridin-based repellents during spring and early summer fishing trips, as well as backpacking excursions during the high season for ticks: Ben’s® and Natrapel®. Both worked extremely well in keeping the biting bugs away. Why two types of repellents if both work? While both DEET- and Picaridin-based repellents in the Ben’s® and Natrapel® brands we tested, respectively, get the job done, each have their place, depending on your needs. DEET has been the go-to topical insect repellent since the mid-20th century. It is highly effective on a wide range of biting insects, such as mosquitoes, fleas, ticks, chiggers, and more. Ben’s® 30’s unique 30% DEET, water-based formula is made to evaporate slowly so the repellent stays on longer and does not evaporate as quickly as with alcohol-based formulas. According to the CDC, a 30-50% DEET concentration formula is sufficient to repel biting insects that are known pathogen carriers, such as the Aedes mosquito. Ben’s® 30, with its 30% DEET concentration, delivers up to eight hours of protection when used on your exposed skin. We used the Ben’s® 30 in the 6-oz. continuous “Eco-Spray” bottle for basic truck camping and when working outside around the house. It disperses evenly so it’s easy to apply (no pumping required). 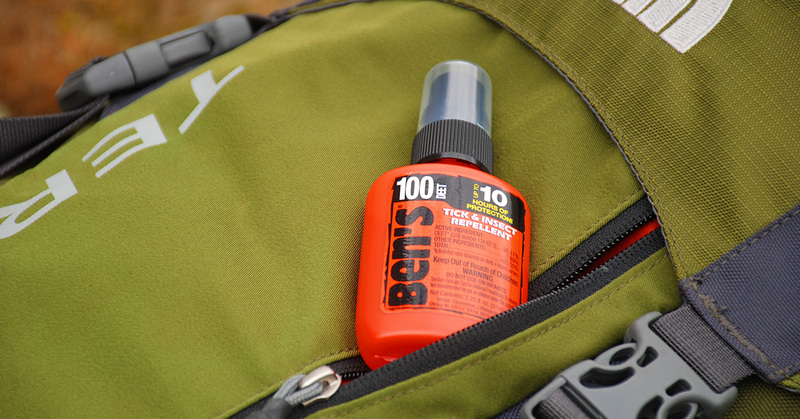 For backpacking, where space is always at a premium, Ben’s® 100 in the 1.25-oz. pump spray bottle was the ticket. As its name implies, Ben’s® 100 is almost 100-percent DEET (98.11% to be exact). It’s the strongest DEET formula you can get, and that extra concentration delivers a full 10 hours of protection from insects. 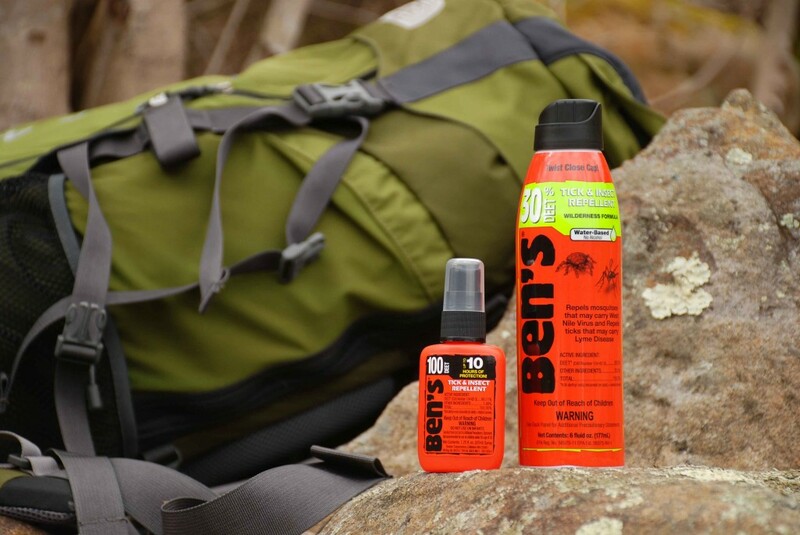 Aside from its small size, the Ben’s® 100 proved to be just right for hiking since we only needed one application to our arms, face, and neck areas for mosquitoes, and our boots and lower pant legs for ticks. Both Ben’s® 30 and Ben’s® 100 contain no alcohol and are fragrance-free. This not only keeps your skin from drying out, but also keeps you from smelling like a bug bomb all day. Although DEET is a proven, long-lasting formula that repels disease-carrying biting insects, it does have one downside that can be problematic, depending on your activity. The DEET compound is a solvent. It’s not harmful to humans, of course, but DEET exposure to certain synthetic materials and plastics can cause these materials to dissolve or their fibers to weaken. Fortunately, if your activities or travel lifestyle includes supplies or equipment that could be harmed by contact with DEET, you can find the solution in Picaridin-based repellents like Natrapel®. Picaridin is a relative newcomer to the battle of man vs. bug. 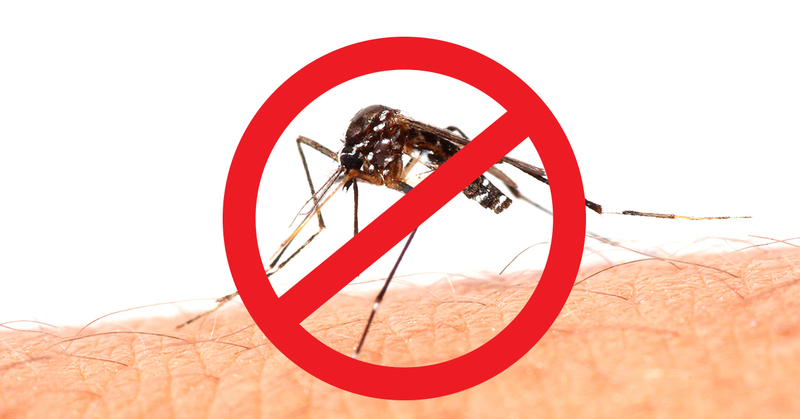 Natrapel® comes with a 20% concentration of Picaridin, which is the percentage recommended by the CDC for optimal repellency of biting insects. Like DEET, it is effective against ticks and other pathogen-carrying insects, including mosquitoes that carry the Zika virus. We chose Natrapel® for our spring and summer fishing expeditions because, unlike the DEET compound, Picaridin is not harmful to plastics and synthetics—something important when you’re fishing with plastic baits, synthetic fishing line, and (all too often) wearing rain gear. We fish in the Appalachian mountains, where small, laurel-choked trout streams are veritable gnat and mosquito highways during the day. We use the Natrapel® 6-oz. 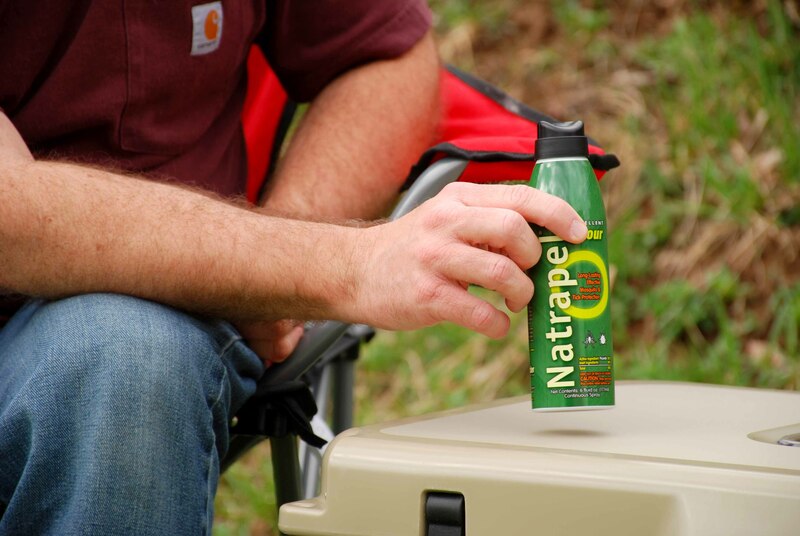 spray before leaving camp in the pre-dawn hours, and carry the small Natrapel® 1-oz. pump version in our fanny pack for reapplication later in the evening. As with the Ben’s® DEET formula, the Natrapel’s® Picaridin formula keeps the mosquito and gnat swarms at bay. Although both the Ben’s® and Natrapel® formulas deliver the insect-repelling results we want, Natrapel® is our favorite of the two. It has a mild, pleasant scent and doesn’t leave you feeling “slimy” like some insect repellents on the market today. Another reason we like Natrapel® is that it is effective in repelling insects for up to 12 hours. That means that most of the time, one application gets us through an entire day. And here’s another tip: If you are traveling in heavily infested mosquito areas, buy the Invisnet Head Net made by Ben’s®. Its fine mesh netting will block biting insects yet won’t detract from your view. Article copyright 2016 by OutsideDaily.com; promoted by Tender Corp.